Hatch was a Conservative MP with a particular interest in foreign issues, and travelled widely, most notably on a world tour from 1899 to 1900 to the Far East and Canada, during which he was accompanied by 'a skilled operator' with a cinematograph camera. The identity of this operator is unknown, but he was apparently kept busy, for about fifty films seem to have been taken during the tour, including some twenty shot in China, such as Street Scene in Pekin and An Old Chinese Woman Spinning, and about the same again in Japan and the Rocky Mountains. By May of 1900 the pair were back in Britain. Two months later Hatch gave an exhibition of his films at Lord Wimborne's house in Mayfair, London in aid of a charity. But by this time the Boxer Rebellion in China was hot news, and while Hatch's films showed only of views of daily life, the hunger for any visual reference to the events in China was such that the films quickly found a distributor. Harrison and Co. advertised Hatch's films in the trade press in September under the heading, 'Genuine cinematograph films of China', and the following month they were being shown at several London music halls. As the Chinese news cooled, Hatch's non-Chinese films taken during the trip were also released by Harrison, which included panoramas taken from trains in the Rockies, Geisha Dances, and several school scenes taken in Japan. 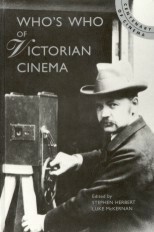 Hatch himself clearly did not consider his filming activities of great importance, failing even to mention them in his book, even though this was one of the earliest ventures with a film camera into the Far East and indeed Canada. 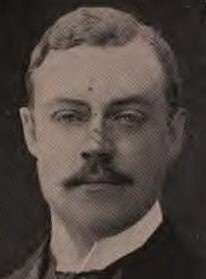 Hatch did not continue his association with the cinematograph: leaving Parliament in 1906 he followed the well-trammelled Tory career path, being knighted and serving on numerous Government committees.